It began with sailboats. 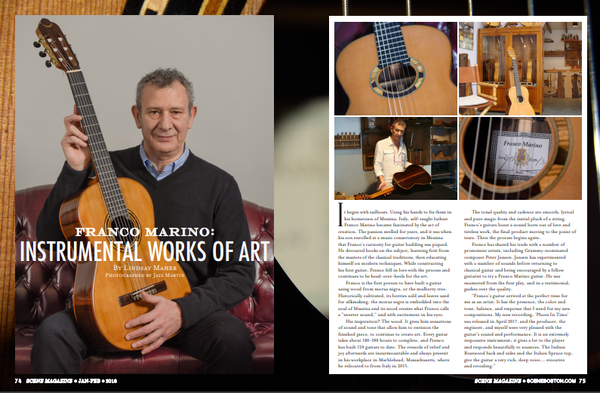 Using his hands to fix them in his hometown of Messina, Italy, self-taught luthier Franco Marino became fascinated by the act of creation. The passion swelled for years, and it was when his son enrolled at a music conservatory in Messina that Franco's curiosity for guitar building was piqued. 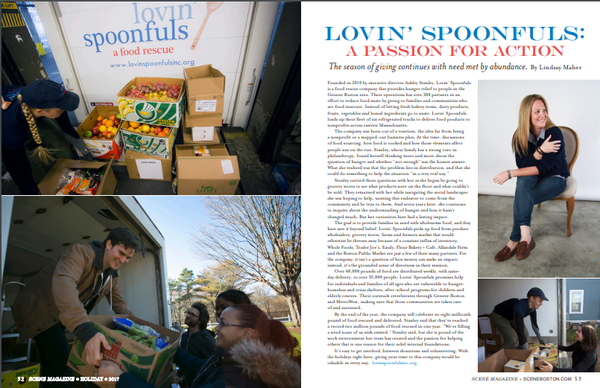 Founded in 2010 by executive director Ashley Stanley, Lovin’ Spoonfuls is a food rescue company that provides hunger relief to people in the Greater Boston area. 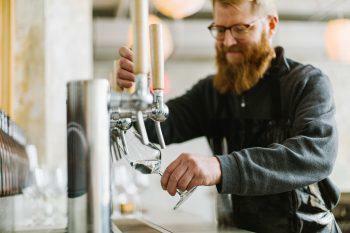 Their operations has over 200 partners in an effort to reduce food waste by giving to families and communities who are food insecure. Holiday cheer should sparkle from head to toe. With these products, you’re destined to dazzle at every gathering! 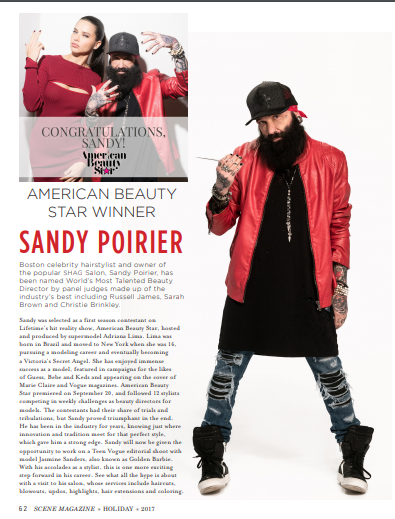 Boston celebrity hairstylist and owner of the popular SHAG Salon, Sandy Poirier, has been named World’s Most Talented Beauty Director by panel judges made up of the industry’s best including Russell James, Sarah Brown and Christie Brinkley. 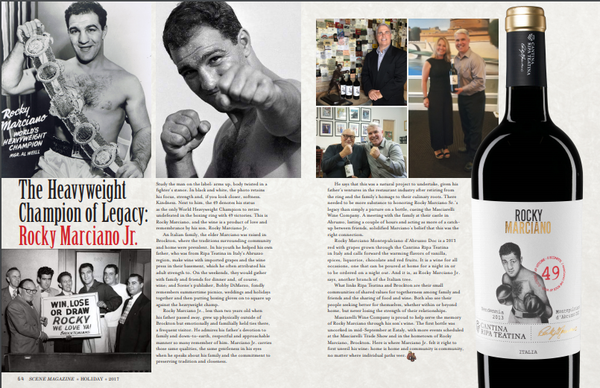 The Heavyweight Champion of Legacy: Rocky Marciano Jr.
Study the man on the label: arms up, body twisted in a fighter’s stance. In black and white, the photo retains his focus, strength and, if you look closer, softness. Kindness. Next to him, the 49 denotes his status as the only World Heavyweight Champion to retire undefeated in the boxing ring with 49 victories. 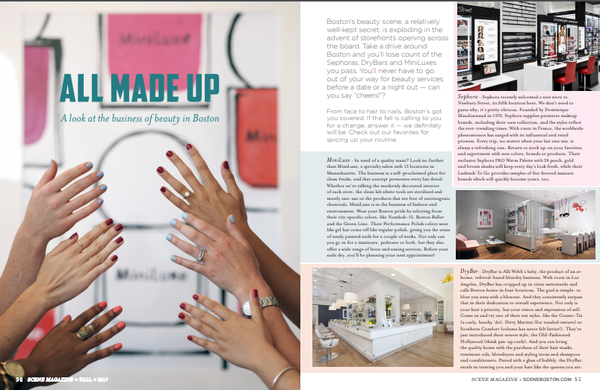 This is Rocky Marciano, and the wine is a product of love and remembrance by his son, Rocky Marciano Jr.
Boston’s beauty scene, a relatively well-kept secret, is exploding in the advent of storefronts opening across the board. Take a drive around Boston and you’ll lose count of the Sephoras, DryBars and MiniLuxes you pass. You’ll never have to go out of your way for beauty services before a date or a night out — can you say “cheers!”? Rejuvenate your beauty routine with these products to make the transition from summer to fall your best yet.